In this tutorial, you will learn you how to change your Torrent client passwords on the new template as well as on old one. Connect to your seedbox using SSH. 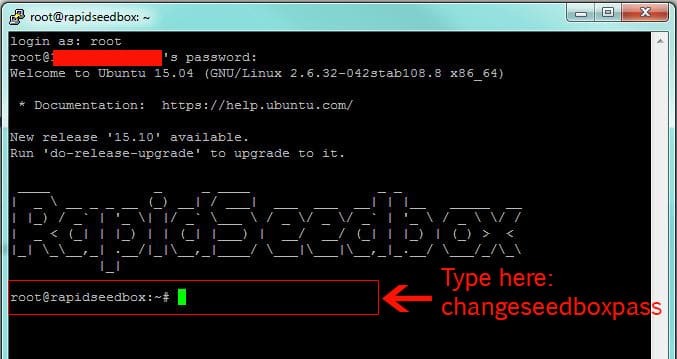 If you’re not sure how please follow this guide How to connect to your Seedbox via SSH. Note: From this step process of changing password is different based on the template that you have. App for changing your password will appear. From the list select service for which you want to change your password and press “Enter” key. The text area will appear where you need to type in your new password. Select Option “1) Yes” by typing number 1 in ‘#?’ prompt (e.g. #? 1). After selecting the “Yes” option, type the desired password and re-type the password for the confirmation. You should now see a message that confirms that the password of your desired service was successfully changed. After you changed your password just click “OK” and exit the application. After you changed your password just press the combination of keys “CTRL + C” and exit the application. 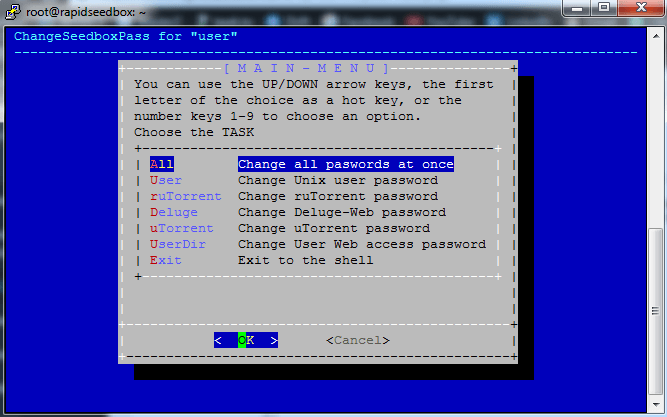 Exit the SSH console by closing the terminal window or typing exit. Your desired service password is now successfully changed, go ahead and try to log into it with your new password.